In 2004, the large numbers of Japanese people who visited South Korea after watching the Korean television drama Winter Sonata caught the Japanese government’s attention. In 2005, the government recognized in official documents for the first time that Japanese popular culture had another potential: to increase international visitor numbers to Japan and energize the domestic tourism industry. The term used in Japan to describe this form of tourism induced by popular culture is kontentsu tsurizumu, “contents tourism.” Contents tourism is defined as travel behavior motivated fully or partially by narratives, characters, locations, and other creative elements of popular culture forms, including film, television dramas, manga, anime, novels, and computer games. This book presents a comprehensive theoretical and historical overview of the phenomenon of contents tourism in Japan. Government, mass media, and scholarly interest in contents tourism is relatively new, and in its modern guise contents tourism behavior is closely associated with digital technology, the Internet, and social media. However, travel inspired by “contents” actually has a long history going back centuries. 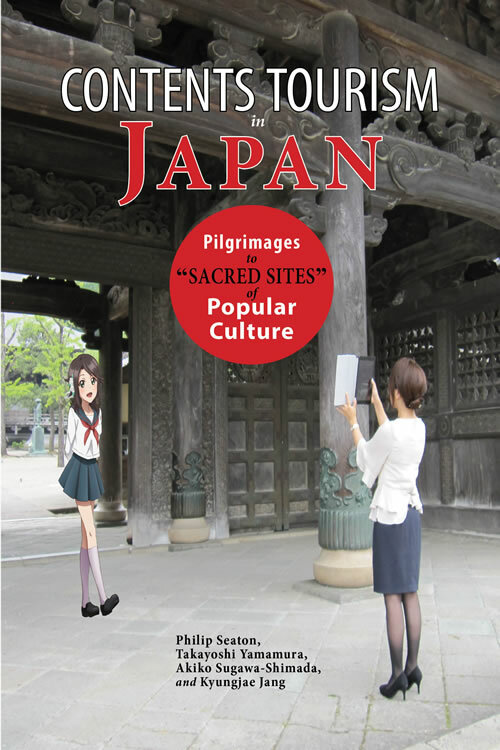 This book traces the development of contents tourism from its roots in religious pilgrimage and the earliest forms of poetry-inspired travel through to the most recent developments in anime location hunting and augmented reality gaming. In English-language scholarship, study of pop culture tourism has often focused on particular works or media formats. These approaches remain valid in many cases, but the theories and methods of “film-induced tourism” or “literature tourism” were never easily adapted into the Japanese setting. The rich history of derivative works, parodies, and multiuse of the same contents in a media mix enriched by the highly popular formats of anime and manga led Japanese scholars to seek a different approach to analyzing the links between popular culture and tourism. Scholars and those working in creative industries settled on the concept of “contents,” and focused on asking how and why particular creative elements resonated with fans and how fans’ interests in a “narrative world”—whether fantasy, fictional, or even largely non-fictional—could inspire travel to actual places, which came to be referred to as “sacred sites” by fans. In the twenty-first century, with culture industries worldwide now distributing and marketing their creative contents via multiple media platforms, the concept of “contents” and its links to tourism are of ever-increasing relevance to countries other than Japan. This book presents a vast range of works, artists and contents that have generated “sacred sites” across the length and breadth of Japan. Some sets of contents trigger tourism over only a short time period, while others have been inducing tourism for decades or even centuries. The comprehensive mapping of the phenomenon, both temporally and spatially, allows all past and present examples of contents tourism to be seen within a clear context. Furthermore, the book presents a detailed theoretical framework of how relationships are formed between and among the three main players of contents tourism: fans, contents businesses and local authorities. By doing so, it illuminates why some forms of contents tourism are simply localized flashes in the pan, while others go on to become embedded within the travel culture of the nation. Contents Tourism in Japan is a groundbreaking book in an important and rapidly emerging area of scholarly, media, political and business interest. It will be of interest primarily to scholars and practitioners with a specialization in tourism and media, but also to those studying contemporary popular culture in Japan and East Asia.